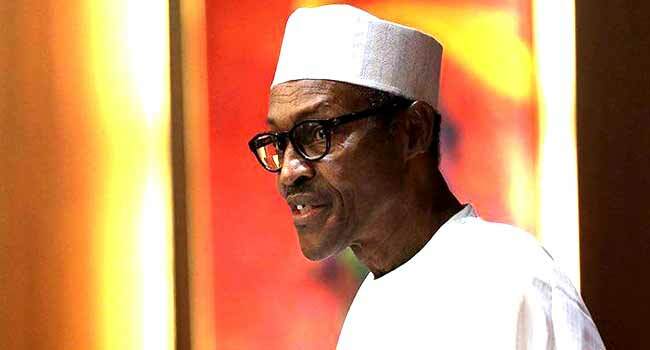 President Muhammadu Buhari has ordered all ministers and heads of Ministries, Departments and Agencies (MDAs) to defend their budget estimates before the National Assembly. The President gave the order when he met with the leadership of the National Assembly on Thursday night at the Presidential Villa in Abuja. 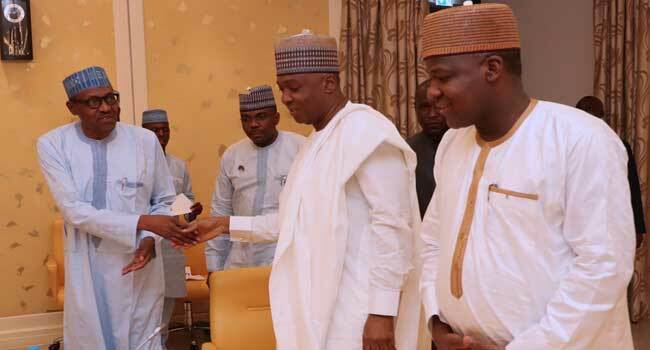 Present at the meeting are Senate President Bukola Saraki and Speaker of the House of Representatives, Yakubu Dogara, as well as the Secretary to the Government of the Federation (SGF), Boss Mustapha, among others. President Muhammadu Buhari in a handshake with the President of the Senate Dr Abubakar Bukola Saraki and Speaker Rt Hon Yakubu Dogara during the meeting with members of National Assembly Executives at the State House in Abuja. Briefing State House correspondents at the end meeting, Mr Mustapha explained that the President’s directive was to ensure the speedy passage of the 2018 Appropriation Bill by the lawmakers. “Mr President has given instructions that all ministers and their parastatals should ensure that they appear before the National Assembly to defend their submissions so that we can get this out of the way,” he said. The SGF stressed that the presidential directive was necessary as the Federal Government remained focus on tackling insecurity and other challenges in the country. “So if you do not appropriate, where will the money come from?” Mustapha questioned. Also addressing reporters, the Senate President described the meeting as a good development, saying they had a useful discussion with the President. Those who also attended the meeting include the Deputy Speaker, Yusuf Lasun; Senate Leader, Ahmed Lawan, and House Leader, Mr Femi Gbajabiamila, Senator Sola Adeyeye, and Mr Al-Hassan Dogowa among other lawmakers.